Aberdeen councillor Taqueer M Malik. A public sector pension fund could be used to fund massive north-east infrastructure projects as council funding continues to plunge. A report to the pensions committee next week has recommended that senior Aberdeen City Council civil servants to investigate a partnership with the North East Scotland Pension Fund. They are looking to the example of Greater Manchester, where the former Colgate Palmolive factory in Salford was transformed into the Soapworks shopping centre. Council chiefs there also a partnered with the fund in the £800 million project to develop Airport City. The city already has a range of huge infrastructure schemes in the pipeline like the developments of the art gallery redevelopment and Union Terrace Gardens. A £333m cost has been attached to the TECA exhibition centre project which was funded through Aberdeen becoming the first council in Scotland to launch a bond on the stock exchange. But now with decreasing funding expected in years to come, the authority is looking at the pension fund. 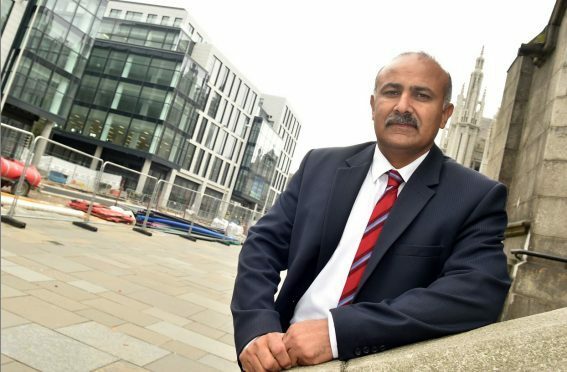 Aberdeen councillor Taqueer M Malik, convener of the pension committee, said “The report highlights the opportunities that could be made available to the pension fund to invest in north- east infrastructure projects such as identified in the regional economic strategy, city region deal and the city centre masterplan. Other ambitious projects are also planned for the city although the pension pot may not be legally allowed to invest in them. Opposition SNP finance spokesman Alex Nicoll raised concerns that decisions would have to be made for the pension fund and not the council. He added: “It’s clear from the report that, legally, the pension fund cannot invest in Aberdeen’s capital programme.